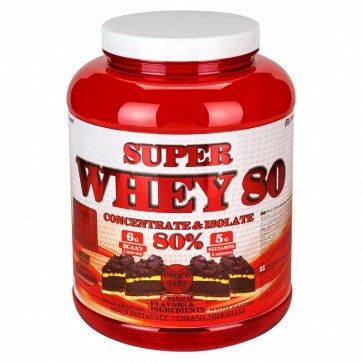 Super WHEY 80 ® is a protein with a 90% ratio of whey isolate and concentrate and 10% of milk isolate. A thick and tasty protein shake for the true lovers of protein powders. Added enzymes for better digestion and maximum rapid muscle growth. Super Whey 80 is 100% pure whey protein concentrate that also contains isolate. The best post-workout protein that loads your muscles with amino acids. High biological value for maximum performance and muscle growth. Super Whey 80 speeds up recovery and makes muscles look better. Its low fat and carbohydrate content makes it suitable for diets. Thick and rich taste. This product is suitable for increase of lean muscle mass. It could be taken before and after workout. Its rapid absorption provides quick muscle recovery and a steady stream of amino acids to the muscles. Take a 25 g serving with 250-300 ml of water or milk as extra protein intake at any time of the day. 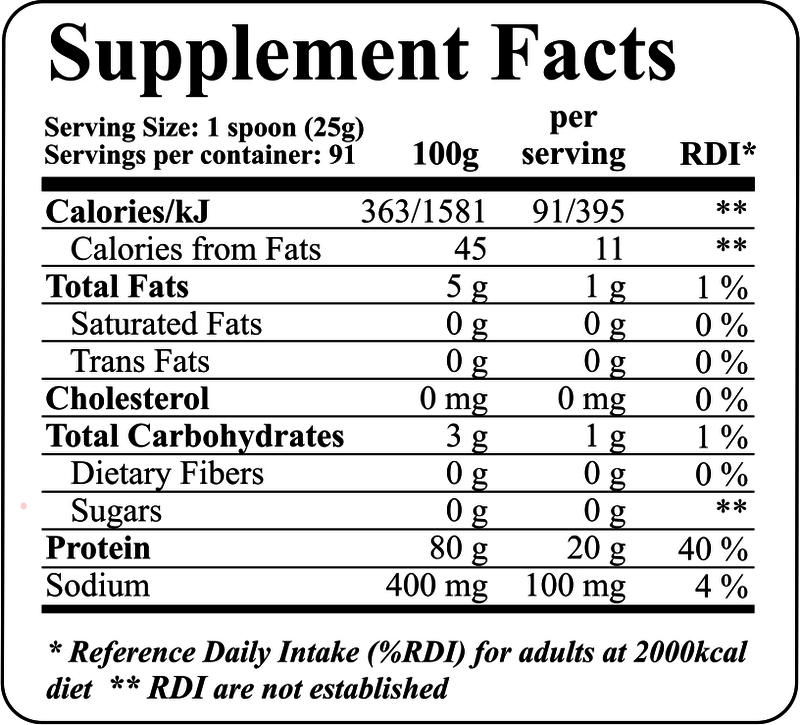 For best results, take one serving of 25 g (with milk) before workout and a serving of 25 g (with water) after workout. Whey protein concentrate (milk), whey protein isolate (milk), stabilizer: xanthan gum, acidity regulator: citric acid, flavoring, natural coloring: cocoa, beta carotene, carmine, sweetener: sucralose.